In 2018 we have supported a number of projects which have benefited from Rotary’s District and Global grants in Sherborne, in Dorchester and in Malawi. 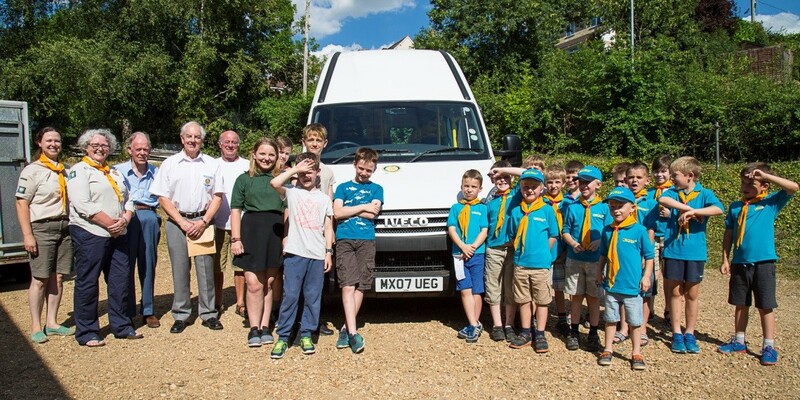 In January we presented presented £2,542 to 1st Sherborne Scouts Group towards their project to replace their minibus. Our club raised £1,042, a Rotary District Grant added £1,000 to that sum and a local charitable trust gave a further £500. A great example of how we as Rotarians can maximise the funds we raise from our fundraising activity. The Rotary project to purchase equipment for the new Dorchester Hospital Oncology Unit has been the focus of many fundraising activities and generous donations from Rotary clubs and private donors throughout Dorset and beyond. 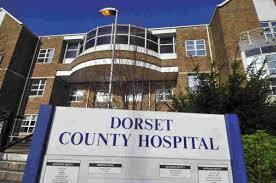 The new Cancer care centre will be one of the most important projects at Dorset County Hospital for many years, providing Radiotherapy treatment and improved chemotherapy facilities. The Rotary Global Grant project, was set up to provide the vital medical equipment needed for the seven Consultation rooms, helping to ensure that cancer care patients can be cared for in a state of the art medical environment. The cost of the medical equipment is approximately £60,000. The amount raised by Rotary Clubs and donors in Dorset and Somerset, has been supported by Rotary Clubs in Glasgow and India, enabling matched funding to be obtained from the Rotary Foundation, Rotary’s own charity, to enable the target to be reached. On Monday evening I presented our cheque totalling £8,912.50, comprising money raised from our fund raising activity plus generous donations from local residents, to the Rotary District Grants coordinator Stan Jones, who has organised this campaign. Over the past six years many buildings and bridges in the Pensulo area near Blantyre, Malawi have been funded by our club, and built by Uchizi, a local builder in Pensulo area, under the direction of David Pearson, a member of our club. Uchizi mentioned to David that his father had been the headmaster of his school at Khwawa in northern Malawi. As a result he had grown up in a house with access to books. This enabled him to gain the knowledge he needed to better himself. His dream would be someday to provide a library for the school to give the hundreds of other boys and girls the same opportunity. David has now put together a package to enable him to fulfil his dreams. Khwawa Primary School in the Chillumba area in the District of Karonga situated 140 kilometres north of Mzzuza in north of Malawi close to Lake Malawi alongside the coast road. The area is very rural and the parents of the pupils are mainly subsistence farmers and fishermen. The school has no electricity and relies on a borehole for drinking water. Over 950 boys and girls from 5 years to teens attend the school from some 35 surrounding villages. The package David agreed involves Uchizi and the village communities providing the bricks and timber for the structure to enable the library to be built. David set about fund raising and with Rotary grants to raise the £3,000 needed to fit it out and fill it up with books. 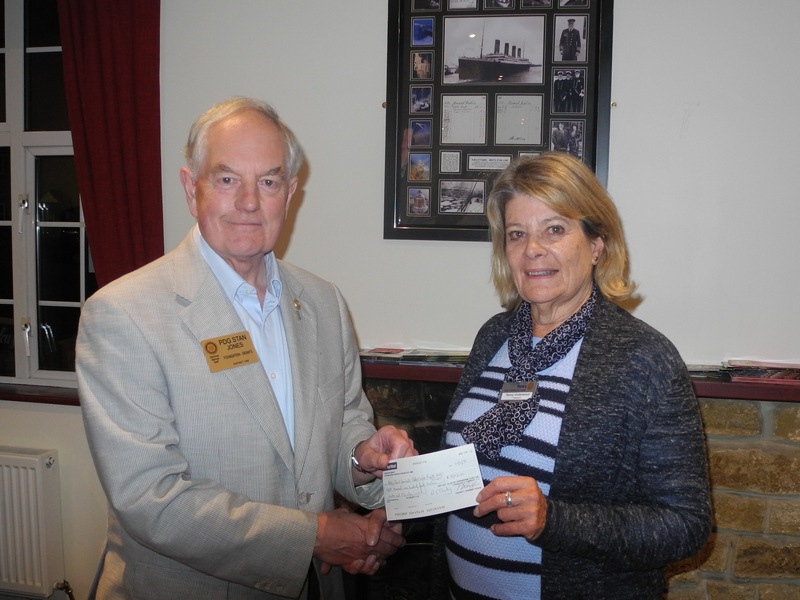 This objective has now been achieved following the presentation of a Rotary District 1200 Grant for £1,000 which was presented to the club on Monday by Rotarian Stan Jones the RotaryDistrict Grants coordinator. Next Entry Week 21 – What is a prodigal bike?